Also known as the "apron," the skirt board of a window is the piece of trim just beneath the stool resting on the bottom edge of the window opening, which is called the sill. The stool is the flat piece of wood or stone that forms a shallow ledge at the base of a window, also called the sill. Window skirting finishes the transition from windowsill to wall. Skirting provides a finished look for windows, ceilings and the base of floors. A broad array of English vocabulary is used by architects, carpenters, designers and construction workers to describe decorative finishes at points of transition, but some words are used more frequently in one English-speaking country than another. In the US, pieces of wood or other materials used to create transitions from floor to wall, wall to window and wall to ceiling are primarily referred to as trim or molding. In Britain, they are called skirting or moulding, and a no-frills term for the window stool is the window board. Trim or skirting placed at the upper edge of a wall is called crown molding or cornice and coving. The cornice is the crown or topmost portion of the ceiling trim, which is called entablature. The coving is the trim beneath the cornice that is usually concave, so it curves inward. Trim at the base of the wall is referred to as wall skirting, baseboard or simply base. If the floor trim has a concave or convex (curving outward) shape, such as the vinyl kind often used in bathrooms or kitchens, it is sometimes called cove base or coving. To further confuse matters for consumers, a flat piece of wooden baseboard with a skinny bottom strip of convex trim is referred to as a "shoe base" because it looks a bit like the toe of a shoe. If cabinets project out and create an indentation just above any kind of baseboard, the indentation is called the toe kick space. 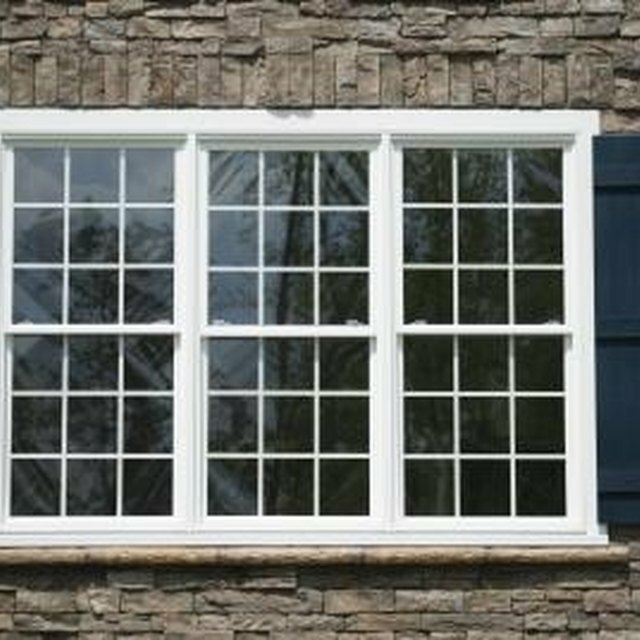 And although the trim work across the top and down the sides of windows is simply referred to as molding, the same elements in a door are described as "architrave" While all this terminology can be daunting to a customer who is trying to understand finishes, it does make easier the building professionals ability to provide short, precise descriptions. The type of window skirting used in a home -- whether simple or complicated -- depends on the home's style. These may range in complication from the fancy scrollwork of high Victorian architecture to the curves and geometric zigzags of 1930's Art Deco shapes or the sleek, no-nonsense lines of contemporary styles from the 1950s to present. So whether calling the finishing touch on the bottom of a window skirting board, apron or plain-old trim, homeowners who are replacing finishes need to consider what well-dressed windows should wear in their style of home. What Is Colonial Stop Moulding? What Is Stile & Rail?